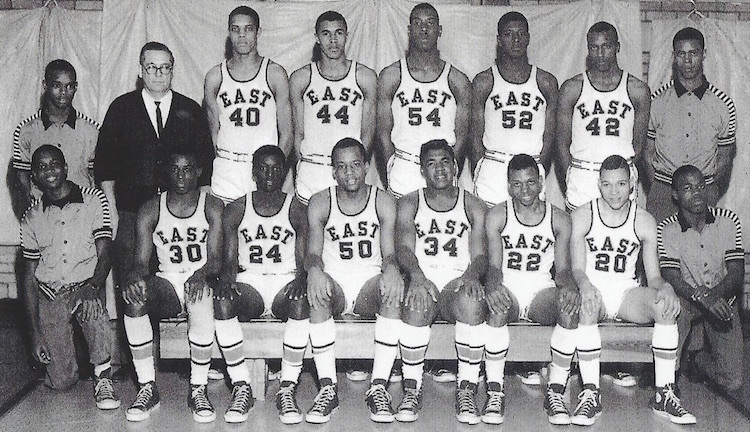 Columbus East in the seasons of 1966-67, 1967-68 and 1968-69 had an outstanding record of 70-1. 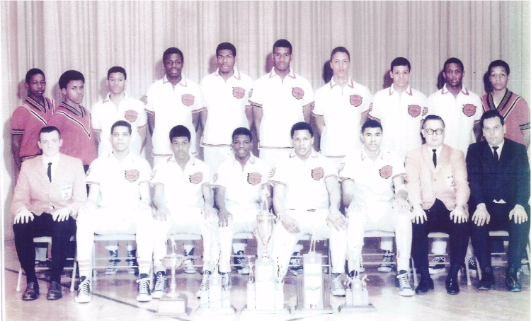 They won State Championships in 1968 and 1969 and were runner up in 1967. All five starters from their state championship teams attended Division I colleges. Front Row (L to R) Daryl Green, Manager; Ken Turner, Randy Bias, Vance Carr, Howard Harris, Ray King, Frank Tucker, Reginald Ivory, Manager. Back Row – Daryl Lynch, Manager; Bob Hart, Head Coach; Eddie Ratleff, Alonzo “Nick” Connor, Randy Smith, Mel Fowlkes, Harry Hairson, Bob Chapman, Manager. Front Row (L to R): Joe Leatherbury, Manager; Ronnie Tucker, Mike Peters, Larry Walker, Daryl Lynch, Manager. Middle Row – Wilson Lane, Manager; Grady Smith, Roy Hickman, Howard Harris, Garnett Davis, Randy Bias, Robert Chapman, Manager. Back Row – Paul Pennell, Assistant Coach; Eddie Ratleff, Alonzo “Nick” Connor, Randy Smith, Kevin Smith, Bob Hart, Head Coach. Front Row (L to R) Paul Pennell, asst coach; Ed Ratleff, Dwight Lamar, Larry Walker, Roy Hickman, Alonzo “Nick” Conner, Bob Hart, Head Coach; H. Wannemacher, Director of Athletics. Back Row – David Reid, manager; Billy Williamson, Ken Mizelle; Larry Mann, Mike Owens, Kevin Smith, Robert Wright, Hal Thomas, Grady Smith, Philip Ware.